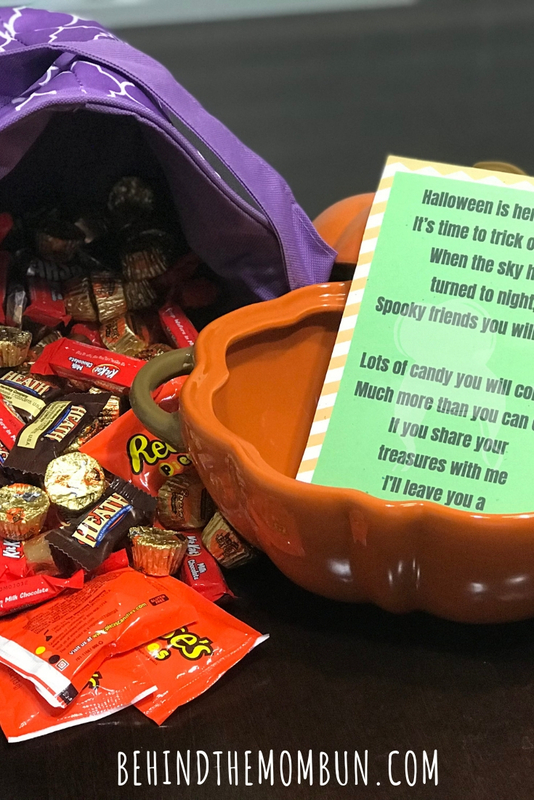 The decor, the candy, the little trick or treaters could only mean one thing…Halloween! 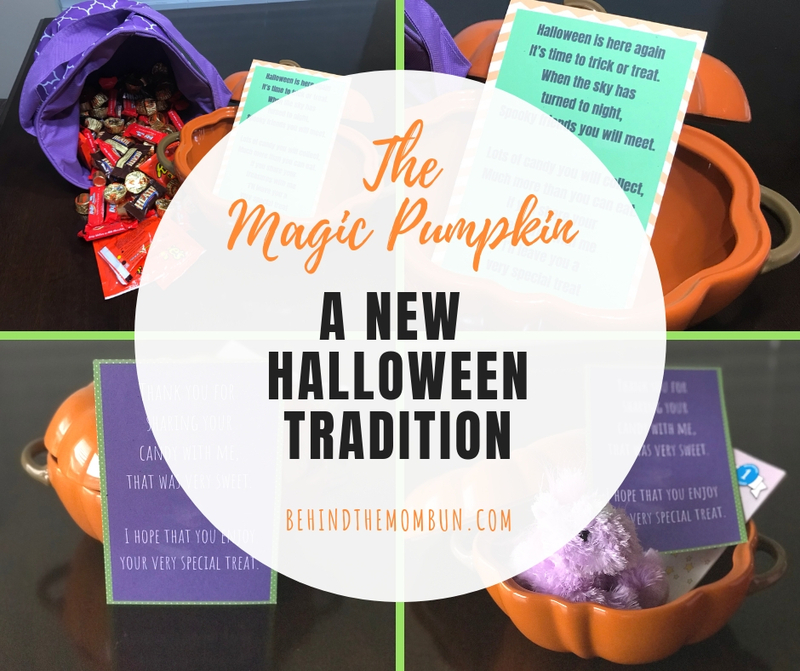 There are so many Halloween traditions to follow, and while Halloween was never a big deal to my husband and I growing up, we were eager to start a tradition with our little trick or treater. One tradition we were not looking forward to was all the candy. We are “those” parents who strictly limit our child’s sugar intake. It’s not because we hate life or everything that is good and right in the world. We have just made a personal decision to limit it. However, we fully understand that the part of the joy of Halloween is getting those sweet treats in your basket. There had to be a compromise. So we brainstormed ideas that would allow her to experience the fullness of Halloween but with parameters. Was there anything out there? It turns out there was, and it IS super clever. Like any good xenial parent, I hopped on Pinterest for ideas and inspiration. Everything I found fell just short of our goal, tiny human has fun trick or treating but doesn’t entirely lose her mind when we take her candy. Then we had a brilliant idea. The Magic Pumpkin. 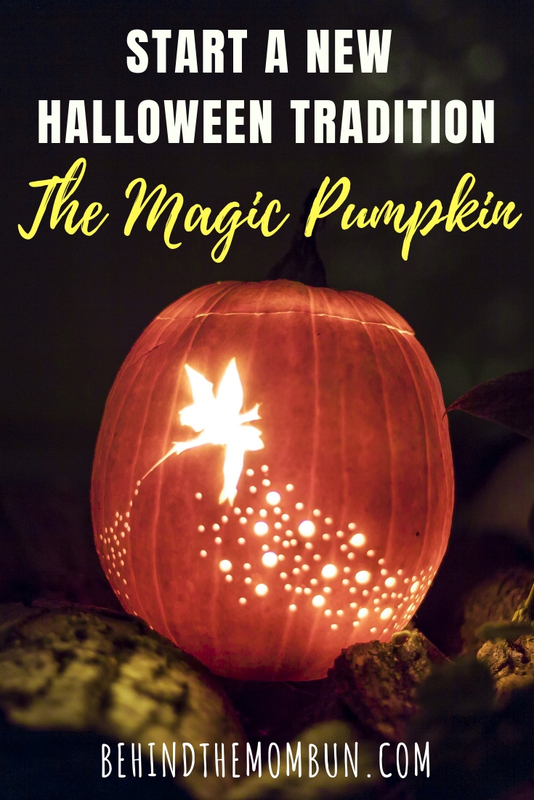 What is the Magic Pumpkin? 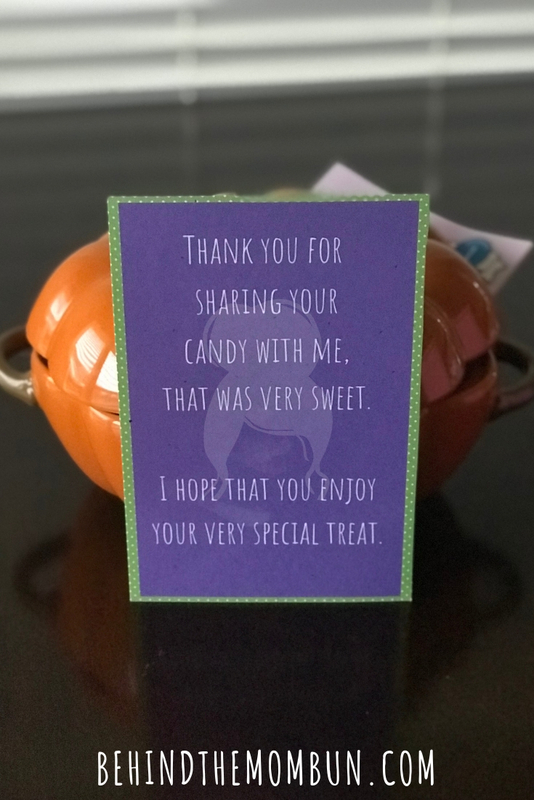 The basics of the Magic Pumpkin is that kiddos give their candy to the Magic Pumpkin and the next morning when they wake up the Magic Pumpkin has taken their candy and has left them a gift in return. Sort of like the Tooth Fairy. I wish I could take credit for this brilliant Halloween hack but surprisingly (to me) this was all my husband’s idea. Now even though the Magic Pumpkin is going to leave your little guy or gal a present, this is still a delicate situation. I mean what child wants all their candy to go missing even if they are getting something in return?? It’s definitely easier if you start this tradition when your kids are young. We started this tradition last year when our daughter was almost three. She didn’t quite get the whole thing. This year she will be almost four is ALL about Halloween. If you want to give this a try but your kids are little older, the key is to talk it up. Make a HUGE deal about this new Halloween tradition. Decide how much candy they get to keep. They will be excited to know that they still get to keep some candy but they also get a neat little gift. You could do something like a certain number of pieces of candy, or they get to keep how much they can grab with one hand. I think this year we are going with the amount of candy equals her age. But it’s devastating all that candy will go to waste. Ah, but it doesn’t. If you feel bad about throwing away the candy, there are many things you can do with it. Did you know that many dentists will take that candy off your hands in exchange for a cleaning or a toy or a discount on services? You will have to check with your dentist to see what they offer. Check out these other excellent ideas for what to do with Halloween candy.